Tag Archive | "Martial Arts"
The Red Flannel Queen and Court visited many of the booths at Community night last week. Courtesy photo. 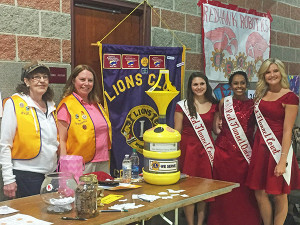 The Community Action Network held their 31st Annual Community Night on April 20. Over 80 booths were reserved from a wide range of vendors. Businesses had their products on display and some had items for sale. Practical help was available from dentists, physical therapists and chiropractors. You could plan a cruise and get investment advice, too. Local churches and camps had their summer programs on display. 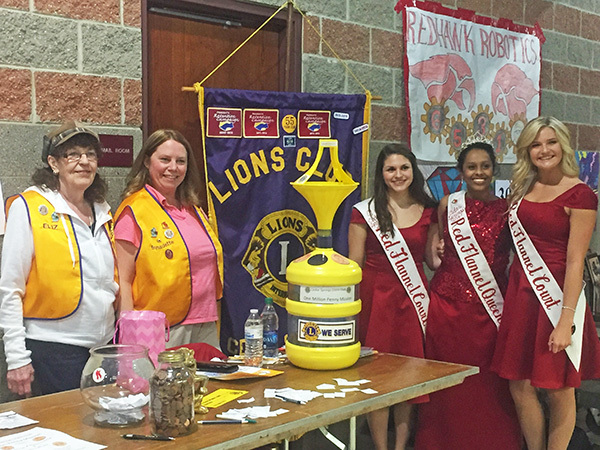 The Lions collected pennies for their Cedar Springs Library Project and Rotary club painted “pinkies” purple to raise funds for ending polio in the three countries where it is still endemic. Martial Arts demonstrations were conducted throughout the evening and in the auditorium local dance companies and other performers put on shows. The high school corral and drama programs reprised numbers from Disney’s High School Musical. Creative Technologies Academy had student art on display. The Cedar Springs High School Industrial Arts Program showcased their students’ award winning project and the high school’s Robotics Team had their award-winning robot on display. The Cedar Springs Fire Department had their firetruck on display, and the Red Flannel Queen and Court could be seen throughout the event.